Just a few of the hundreds of nice words, notes and compliments I have received in the years of guiding & teaching. 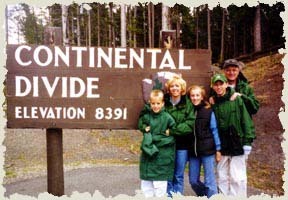 “….we went on (a Grand Teton Tour, after you guided us through Yellowstone). The guide that took us left his job of many years as a Fedex driver last fall and this was his first summer guiding. The first “fact” he told us was that “the Tetons are almost as big as Yellowstone”. It went downhill from there. He knew nothing of the history or any other facts about the mountain range. You spoiled us. “Out of all of the guides we have hired in the past years you get the award of being the best! Your excitement is overwhelming! ” Thanks for making our visit to Yellowstone such a memorable one! …………the entire family has not stopped talking about our hike with you and the sights and sounds. Spending the day out on a trail was so much more enjoyable, and relaxing than dealing with the crowds of tourists on the boardwalks and roads…………this was the highlight of our short visit! James Goldmark: “I can not tell you how wonderful that day we spent in Yellowstone viewing bears was. There are so many things that impressed me about the day. But in particular, what impressed me most was the care you take in not disturbing the ‘natural’ experience for the bears, the way you choose not to exploit the position you are in, and how nicely and cordially you treated our family in general. Your bear viewing tour was the highlight of our trip! Thanks for everything! I just wanted to take a minute to thank you again for providing a wonderful experience for us on Jan.2, 2007. We had a great day….the boys haven’t stopped taking about it! “Kevin, …….I would take a moment to express my gratitude to you for the wonderful and informative tour that you provided my group last Thursday. We have talked about the sights and sounds for days, and I am certain that the raves will continue for some time! 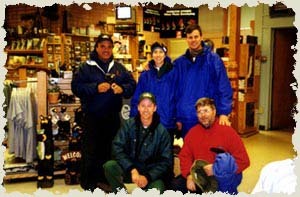 “Just wanted to let you know that we had a GREAT time on our trip to Yellowstone with you. The kids, Debbie and myself were very comfortable with you and absolutely enjoyed the information you provided about Yellowstone and Montana in general. Quite the handful……..well, maybe two handful’s! 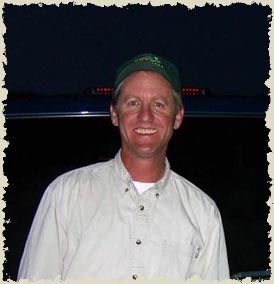 “Since 1999 you have been patiently and expertly guiding and sharing the many wonders of Yellowstone with our students. Your many miles of hiking with us has provided our Iowa students with opportunities and sights they will remember the rest of their lives. They may not remember the name Kevin Sanders, but they will always remember the Bearman! My staff and I look forward to spending even more time with you and the 150 students we are bringing you this summer. We really appreciate the new portion of your website dedicated to our Great Western Expedition. Thanks for participating in the Yellowstone Endangered Species Project for Wildlands Studies, San Francisco State University. We really enjoyed our time, and learned so much! On behalf of the students and myself, thanks very much. ACADEMIC COURSE CREDIT Biology 315, Field Studies in Biology, 3 semester units at San Francisco State Wildlands Studies Program. “I really enjoy your web page, of course the bears more than anything. I really wanted to thank you for a very good time……I understand now why you live in Montana. “…………The vistas were breath taking, your narrations……….were awesome. Walt Disney couldn’t have done it any better! ………….You have a lot to offer visitors to Yellowstone. Keep up the great work. It isn’t often you find a person who loves what they do for a living. When you do, everyone benefits from the enthusiasm and infectious smile.